Log Cabin Permit for Development or Planning Permission! A log cabin permit or permission (terms vary for this from country to country) may well be needed, prior to you be able to construct your log cabin. Whilst laws vary globally, most countries have policies in place which will control the development of buildings. In some countries they are much more relaxed and easy to obtain, but even in strict countries (like the UK), it is still possible to get permission in many cases. In fact in some cases it is even possible to build without the need for such applications to local authorities, thanks to certain loop holes that exist! 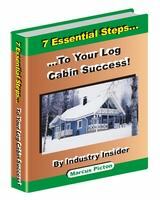 Getting a Log Cabin Permit, or find out if you need one! 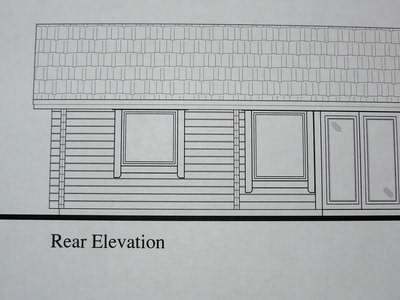 Log Cabin Permit – Do you need permission to build? Do you actually need a log cabin permit for development or does planning permission not apply in your situation? For most people undertaking a larger log cabin there most probably will be some kind of local government criteria which will need to be met. 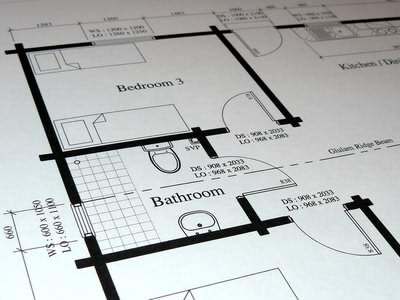 This usually requires an application to be made, in which full details of the design, building plot and other specification information will have to be shown. For smaller log cabins getting permission or a permit may not be needed as frequently. In the UK for example a log cabin built in your garden, which is less than 30 square metres in overall floor area and less than 4m high to the ridge of the roof can often be built without any planning permission at all (subject to other criteria being met). However it always pays to do your home work thoroughly and don’t just rely on a casual remark you overheard once, as getting on the wrong side of planning law can be costly! Countries and even regions within countries vary massively, so you must get good advice as to what is needed where you are planning to build a log cabin. So what is your country like for obtaining a log cabin permit or equivalent? Well I do not profess to know all about planning law around the world, but having visited and done work in several major countries on different continents, I do know it varies a lot! In Europe, generally countries have a more strict approach, with many historic buildings and limited land area, having a big impact on planning policy. Where you are looking to locate your log cabin will also have quite an influence on how easy it is to obtain such a permit. Log cabins are very much at home in a rural environment and so this location will generally make your task easier. It’s more part of the heritage and culture in these relatively new countries. Particularly in countries which are very sensitive to new development, going about obtaining the relevant permission from your local authorities in the right manner, can help your chances of success. In some locations where log cabins are rare, education of the relevant authorities (in a positive manner), may be needed. Always remember to present the many environmental advantages log cabins have, even if they don’t ask for this information. If getting permits could be difficult try and find others in your area how have successfully obtained them and ask how they went about it. Always try and be sympathetic to other local buildings and if possible compliment some of their properties. This can often be achieved by overall design style, the use of similar roof tiles and choosing the right colour for external wood staining. The right landscaping and screening of the site, may also play a significant role. Remember it pays to due all the research first and get your application in right first time. Getting off on the wrong foot with your local building department is not a good approach. Whilst this make take time and effort, in the long term it could be quicker and save you money. In some cases obtaining the necessary permission seems almost impossible! However do not give up, because I have seen quite a few persistent people get there in the end, (even after 5 years in one case)! If you are really struggling and not seeming to make any progress, enlisting the help of a local planning consultant can be a smart move. Some of the consultants have even come from a career which previously involved processing some the development applications and their inside knowledge can often open doors you didn’t know existed. Laws around these types of issues can often be lengthy and difficult to interpret, even if it costs you some money don’t be afraid to get professional help.